Kohler 4 cycle, single cylinder, air cooled. Reverse--0 to 4 mph (6.4 km/h). 716 Hydro -- 806 lbs (366 kg). 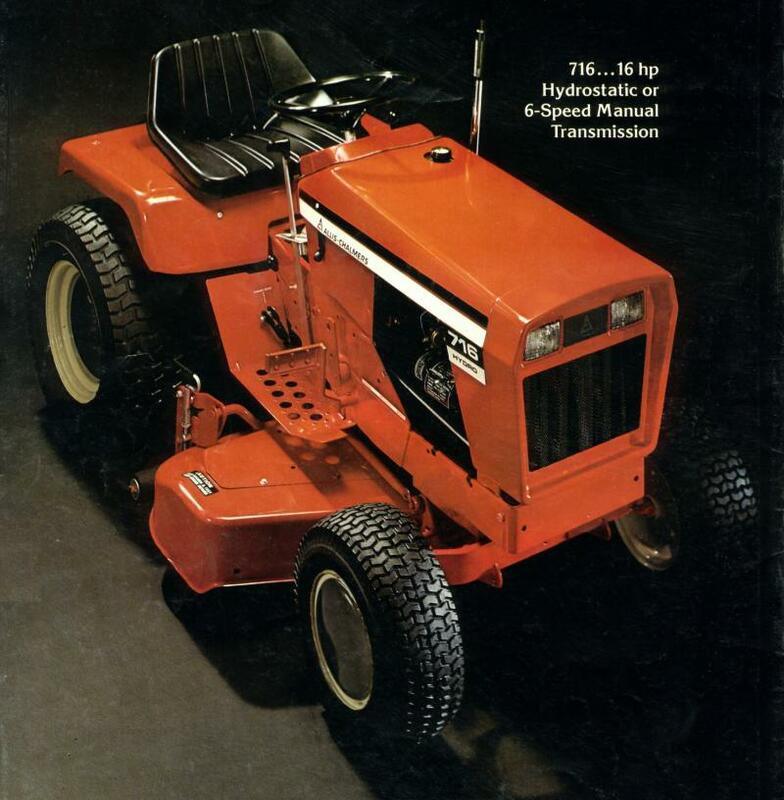 Front dual headlights, manual lift lever, balanced engine, tilt-up hood and seat deck, deluxe contour seat, fuel gauge, ammeter, safety interlock start system, drawbar, dry element air cleaner w/precleaner, oil filter (hydro models), 12-volt electric start.